With easy access by land or sea, Harbor Point’s four marinas offer something for everyone. 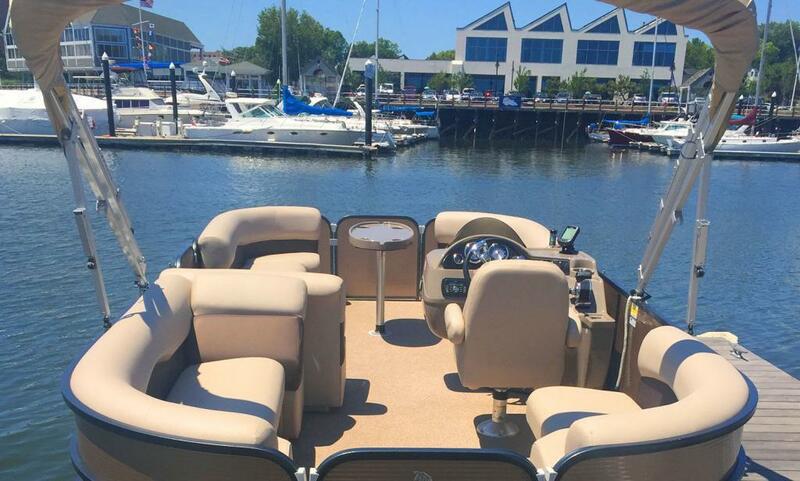 Whether you are a looking for a seasonal vacation spot, a jumping off point to ports east, or visiting Stamford’s best waterfront restaurants, you will find a home for your boat at Harbor Point Marinas. 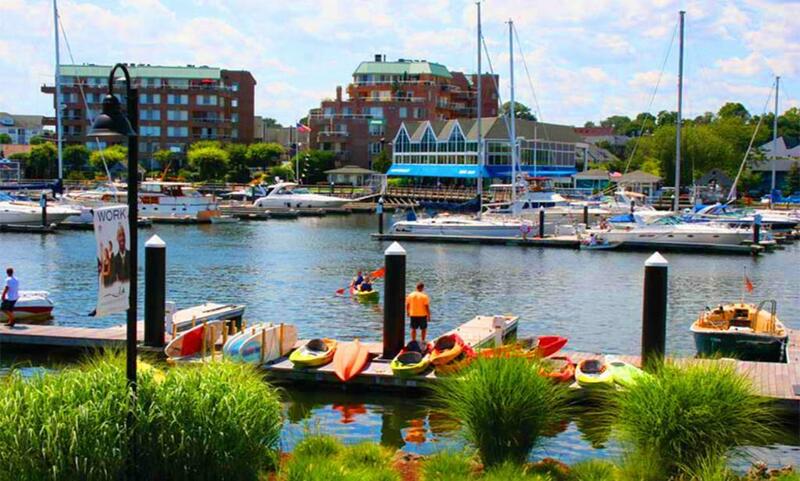 The first-class amenities and ideal location, just minutes from I-95, Metro-North and Amtrak, and Downtown Stamford, make Harbor Point Marinas the answer to all your boating needs. 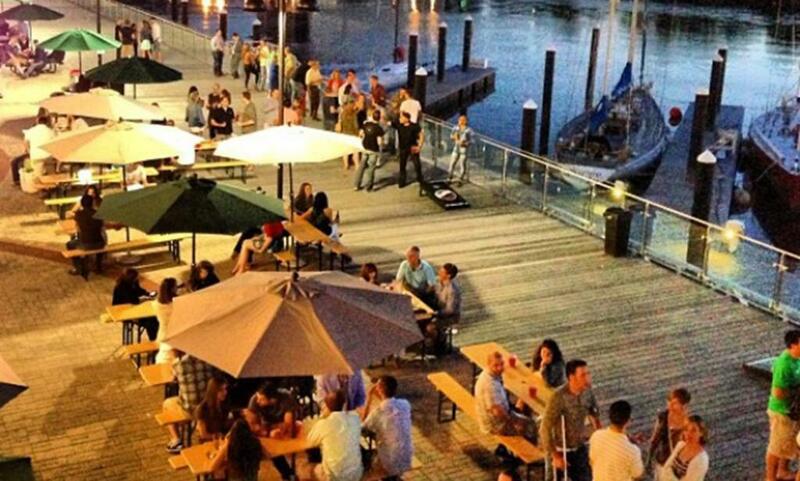 Pull up in your boat next to one of our many outdoor bars and restaurants at Harbor Point Marinas. Join in the daily fun and good food at any of our award-winning bars and restaurants. 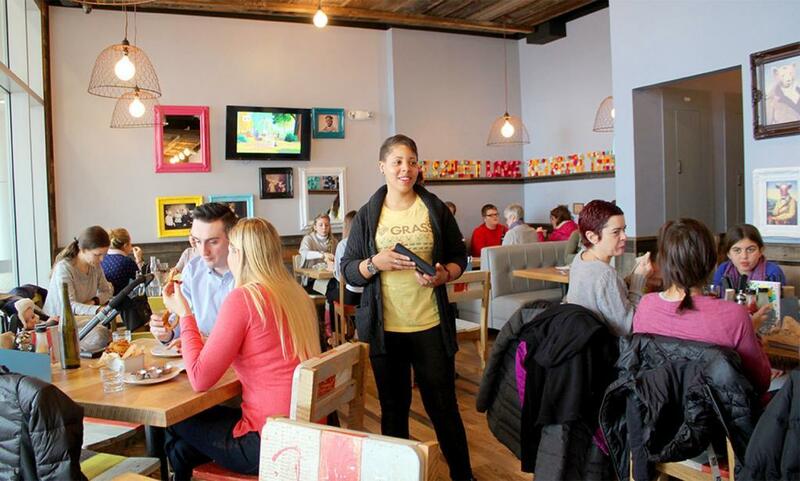 Whether it be breakfast, lunch, brunch, happy hour or dinner – you can enjoy some of Fairfield County’s top rated places here in Harbor Point. Check out our free water taxi between Memorial Day through Labor Day Weekend! Hours are Thursday 5:00pm – 11:00pm, Friday 5:00pm – 12:00am, Saturday 5:00pm – 12:00am, Sunday 4:00pm – 10:00pm. The Water Taxi is docked on the Harbor Point waterfront south of the Beacon. 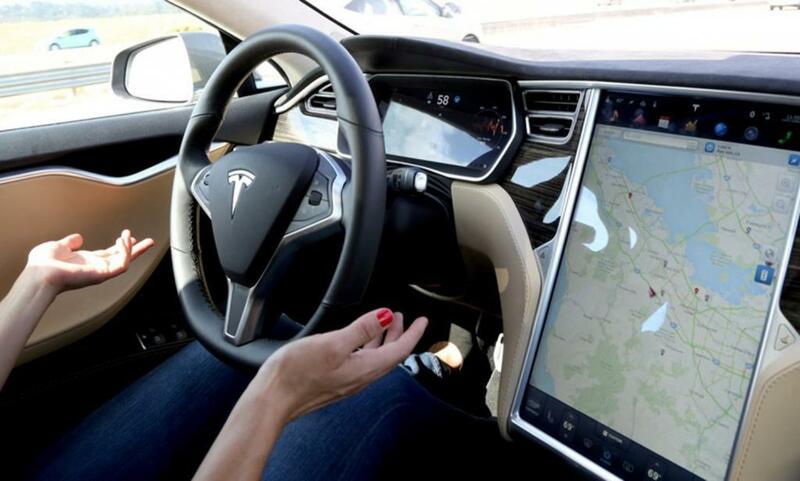 You can also call us on (475) 226-5521. 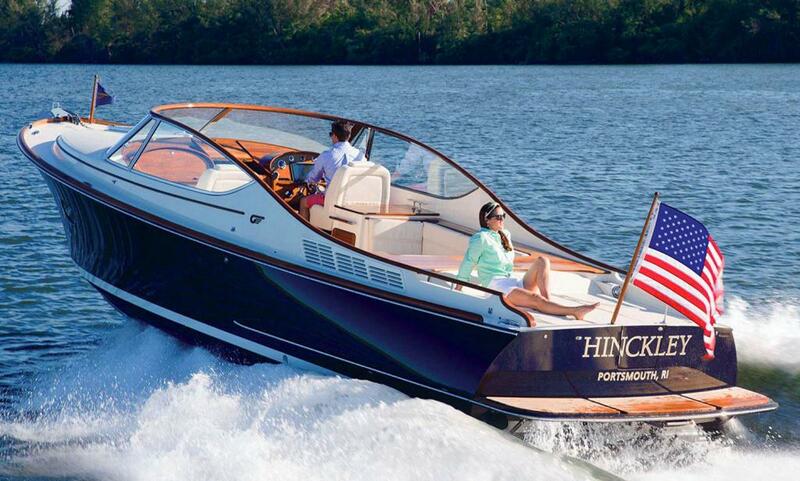 The Hinckley name is synonymous with the highest levels of yachting. With outstanding craftsmanship rooted in Maine’s maritime heritage, we are proud to welcome the Hinckley Company to Harbor Point. Without the hassle of ownership, a membership provides unlimited access to not just one boat but their entire fleet of boats, from their Southern CT locations, plus 50 clubs nationwide, along with a free water safety course! 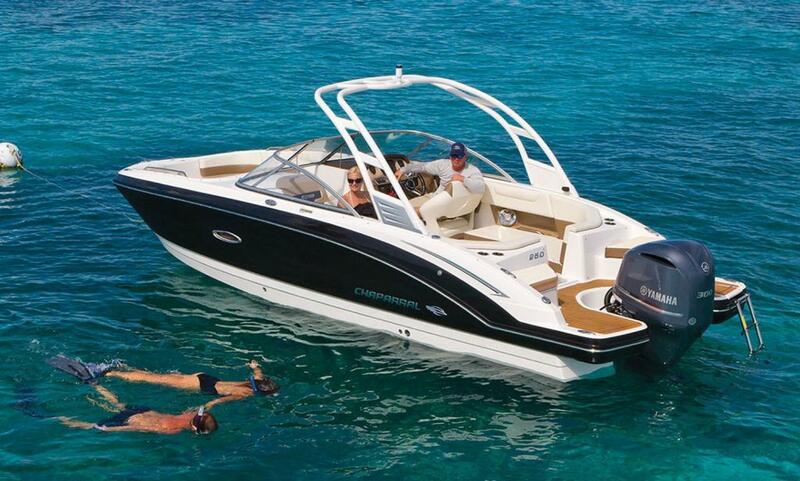 Unlike a boat timeshare, a membership plan grants you unlimited usage of different types of boats. Fish for striped bass in the sound, bring the whole family on a cruise along Harbor Point, or go tubing or wakeboarding! Kayaks and Paddleboard rentals by Soundwaters. Soundwaters concession offers reasonably priced, locally-based, on-the-water activities for individuals and their families & friends. They are located near Boccuzzi Park. Rent a single or double kayak or stand-up paddleboards (SUP’s) and sign up for a guided tour by yourself or with friends. 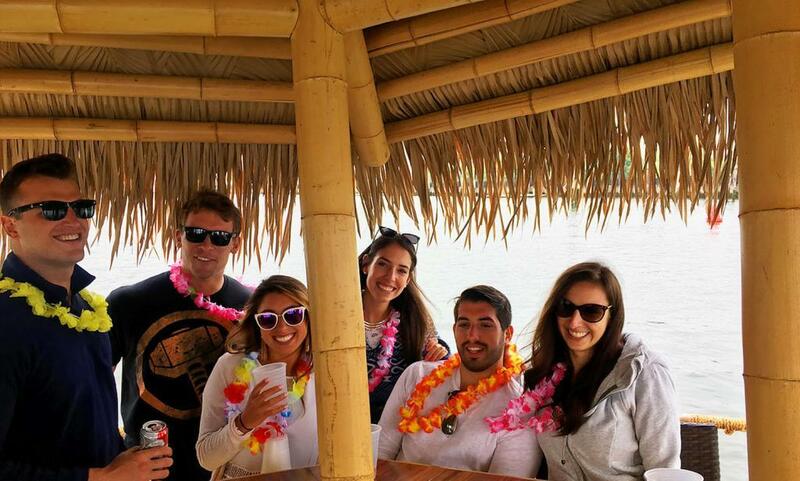 Here at Captain John’s Tiki Tours in Stamford’s Harbor Point, we are all about creating custom and fun experiences for our clients. Whether you are a seasoned sea salt, someone who just wants to go for a boat ride or a novice at boating, we have all the options you need! Afternoon Sails – Great for Families! Enjoy the excitement and wonder of the Long Island Sound aboard our 80′ Schooner. Price: $35/adults, $20 for children ages 5-12. Sunset Sails – Great for Adults! 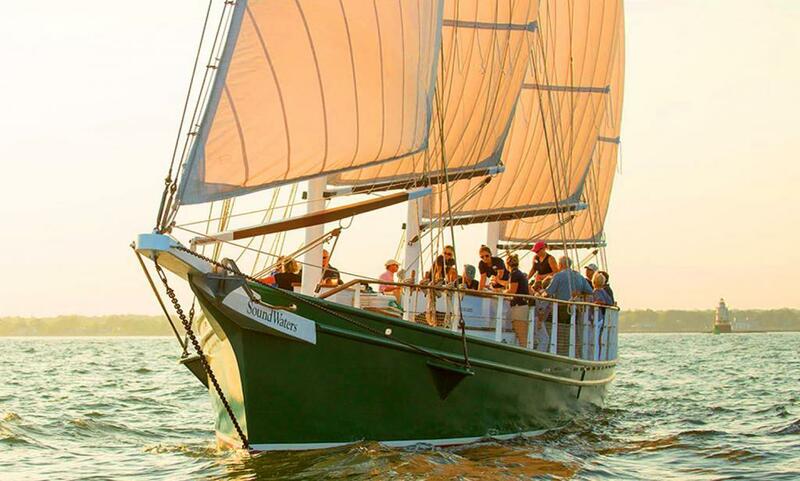 Join us aboard the 80′ Schooner for a Sunset Sail. Bring your own wine or beer and relax while watching the horizon. Price $35/person. Road Work Ahead offers fishing charters on the waters of Long Island Sound. 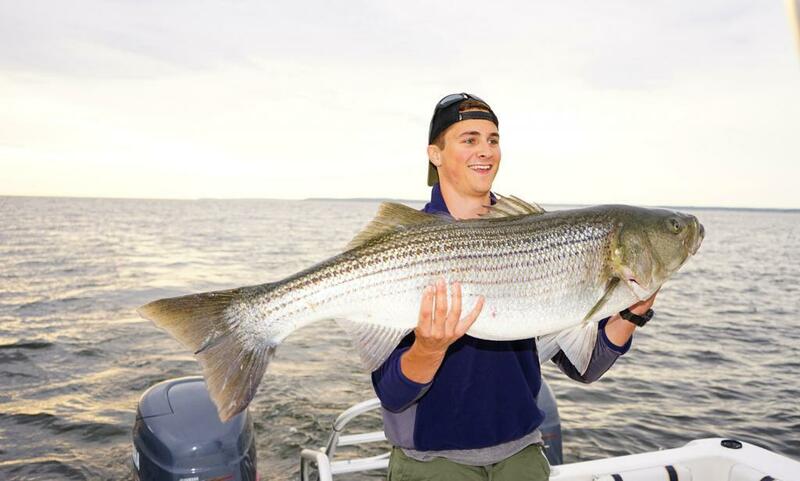 Based in Stamford Harbor, the crew will help you fish for trophy sized Striped Bass and Bluefish along with reef dwellers like Blackfish, Sea Bass and Porgies. In autumn, they specialize in the elusive False Albacore Tuna that migrate into Long Island Sound for 4-5 weeks during their fall run. If bigger fish are what you are after, they can customize a trip for Tuna and Shark in the Atlantic Ocean. 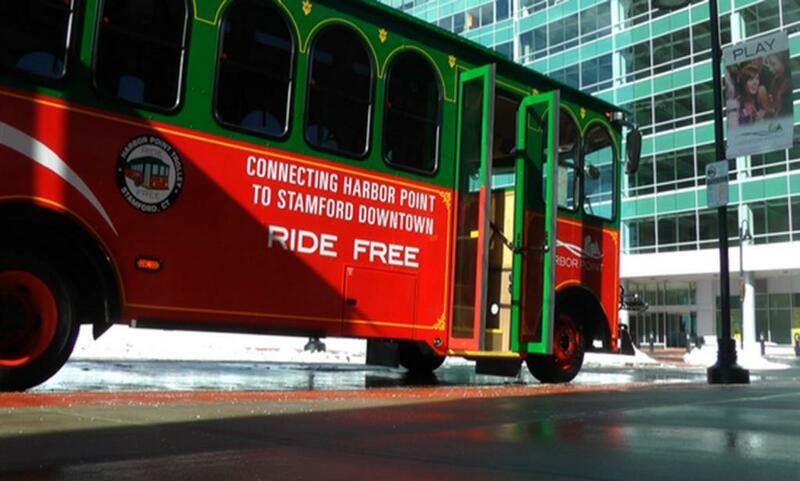 Harbor Point offers complimentary shuttle service from our residential and office buildings to the Stamford Transportation Center and downtown shopping. 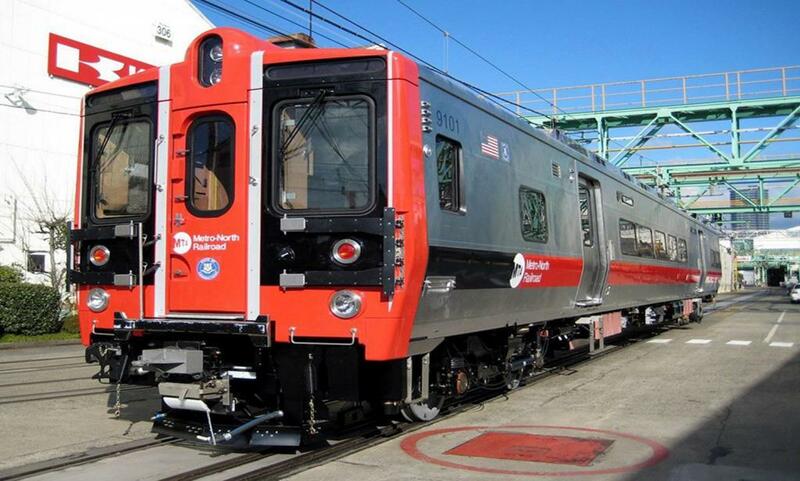 The trolley is quick, convenient and stops at many popular destinations in Stamford such as the Metro North Train, Stamford Town Center shopping, Corporate Centers, Fairway Market, UCONN, Sacred Heart University as well as numerous dinning and nightlife locations. 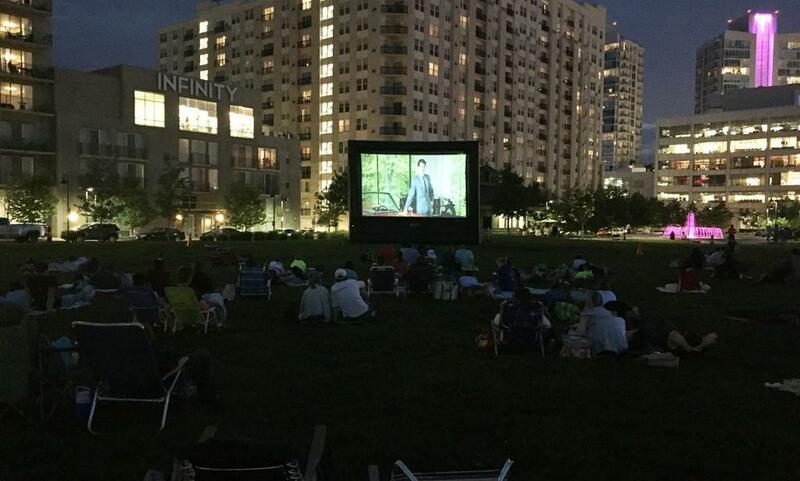 If nature and being outdoors is your lifestyle, we have over 20 acres of public parks in Harbor Point. Take your dog to the park, play on the playground, enjoy a board game from the game cart or go for a jog. Visit Commons Park in Harbor Point and take part in our seasonal daily activities scheduled for all guests and residents. 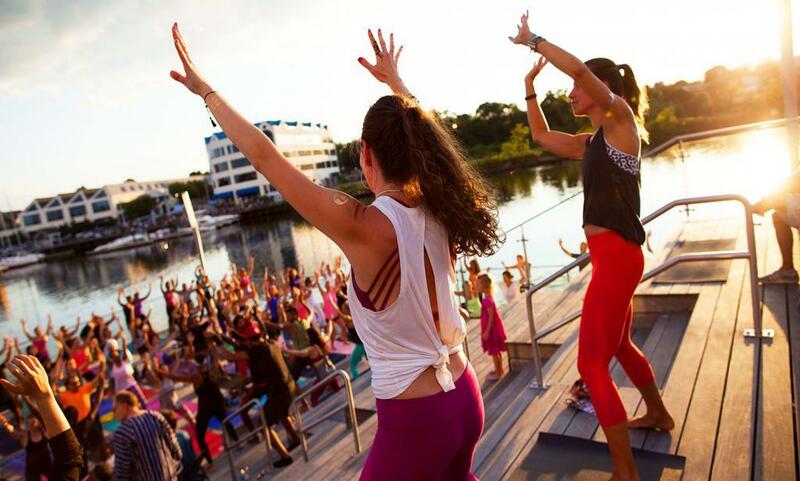 Enjoy over one mile of actively programmed waterfront, including four marinas, restaurants, a free water taxi and kayak and paddleboard rentals. Stroll on the Harbor Point Boardwalk and take in the spectacular views. With beautiful plantings and benches our boardwalk is the perfect spot from sunrise to sunset. We have a comprehensive schedule of events, including live music, movies in the park, outdoor exercise classes, farmers market, innumerable 5K runs/walks, car shows, and a carnival. Find out what’s happening! 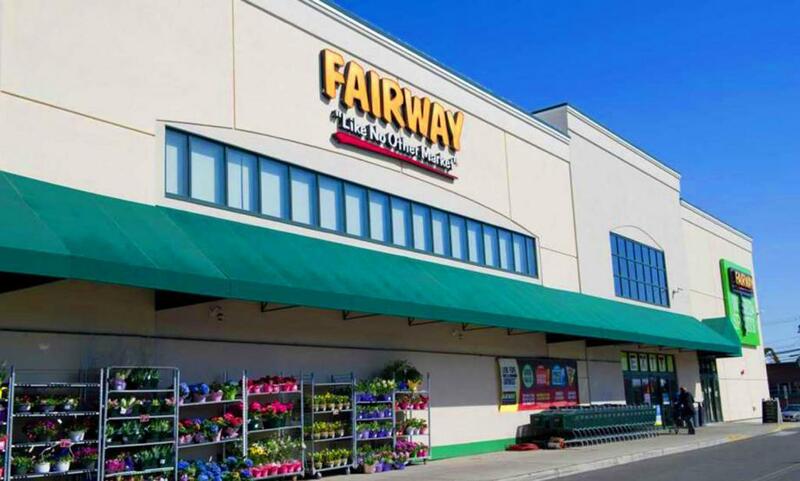 Fairway Market is an American grocery chain in Harbor Point. Founded in the 1930’s, Fairway Market is one-stop shopping at its best. From the everyday brands you know and love, to exotic foods, specialty items, quality produce, choice and custom cut meats, organic and gluten free products, premise roasted coffee, 600 cheeses and the best olive oil bar on the planet. Sunday Brunches at the restaurants in Harbor Point are a must. Every Sunday, and sometimes Saturdays, our restaurants celebrate the weekend with a variety of brunches. You will find everything from simple to lavish champagne brunches. There are extravagant buffets with delicacies such as caviar, smoked salmon, shellfish, carved meats, fresh omelets, pizzas, pastas, sushi and more. Check out Bareburger, Prime Stamford, Harlan Social, Sign of the Whale and Boothbay Lobster Co and bring your brunch appetites. 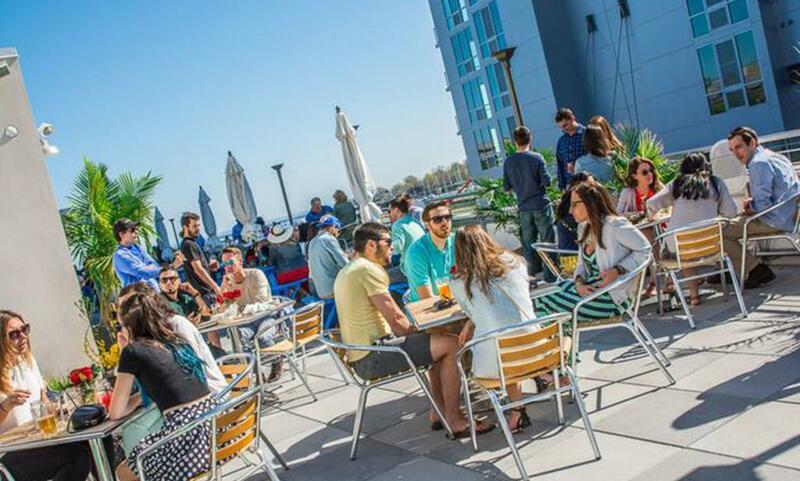 Picture yourself docking your boat and sipping a cool drink at one of our many outdoor bars and restaurants at Harbor Point, then taking the Harbor Point Trolley to the Stamford Train Station for a day or evening in NYC. Harbor Point Marina North is only two blocks from the station, and Downtown Stamford. With so much to offer in Harbor Point’s community, we made sure to have a ton of free parking on location. 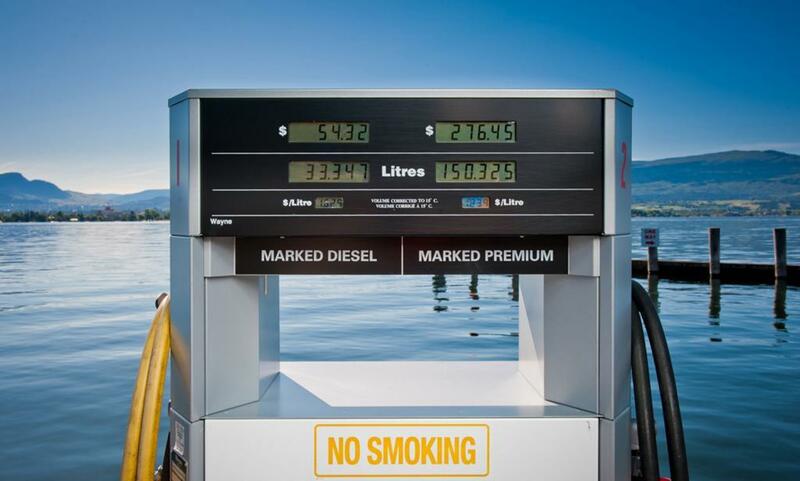 Did you know our ample, free parking is throughout the area, so you may visit any of the restaurants or simply take a walk on the boardwalk? You can park in the 2200 Atlantic Street Parking Garage (after 6pm and weekends) and 100 Washington Blvd Parking Garage (after 6pm and weekends) or the empty outdoor lot next to William Pitt Sotheby’s International Realty on the corner of Atlantic Street and Washington Blvd. No overnight parking, violators will be towed.